My girlfriend and I have been on a serious jalapeno popper binge for the last few weeks. We love the spicy, creamy, and awesome flavors that come along with fresh jalapenos. 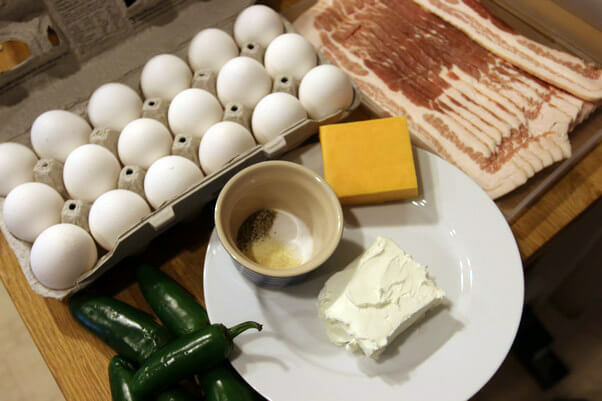 Add some cheese, cream cheese, and a bit of spice in there – and you’ve got yourself a real keto hit. We go out a lot in the mornings and bring breakfast with ourselves to eat on-the-go. 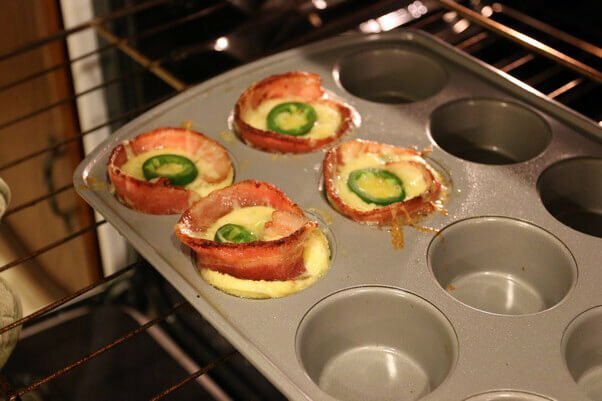 The strange stares and weird looks we get from people while we’re eating bacon wrapped jalapeno poppers for breakfast are priceless, but we had an even better idea. 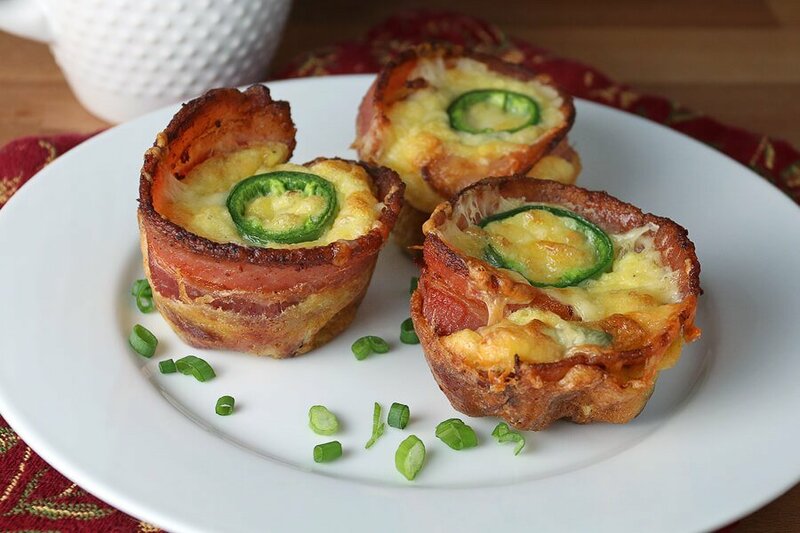 Why not combine one of our favorite dishes into an egg muffin we can easily eat and not look so odd? Don’t get me wrong, I’m used to getting some strange stares from people since I’ve been on a ketogenic diet for over 6 years now. Eating butter off of the bread plate in a restaurant, dousing my foods with cheese and chomping away while a waterfall of melted gooeyness is falling to the plate, and always asking for a bowl full of butter with my meal. Though it doesn’t always bother me, I find that it does help to blend in with others. Anyway, the taste of these little egg cups are just fantastic. 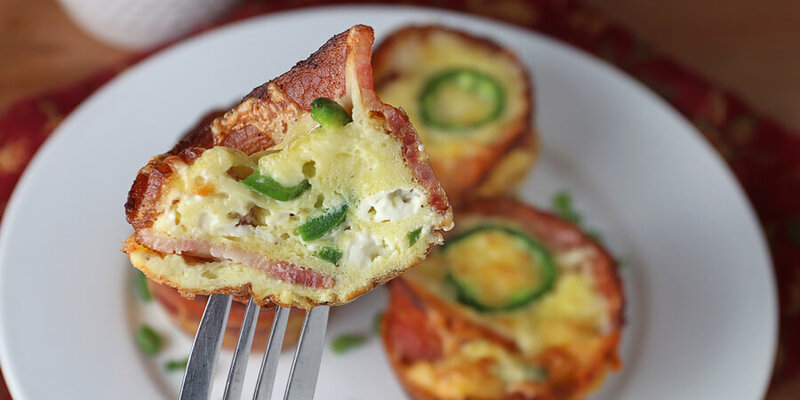 If you’re a fan of jalapeno poppers, then do yourself a favor and give these a try. They’re the right amount of heat, the right amount of cheese to balance it out, and then bacon to really take it up a notch. 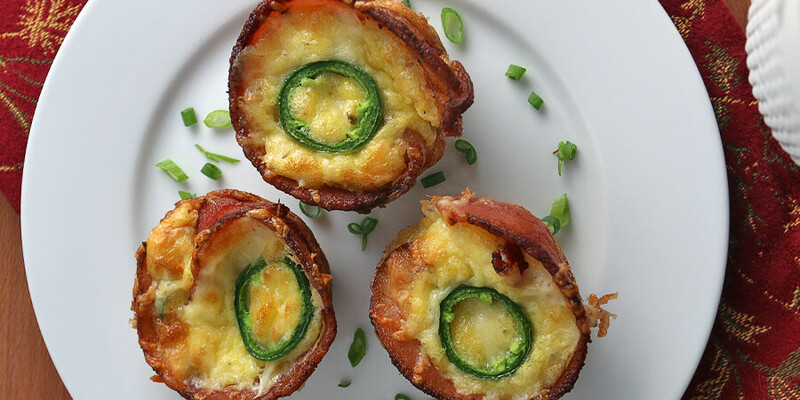 All nested within a fantastic egg muffin to easily take with you anywhere! Preheat oven to 375F. Par-cook bacon so it's semi crisp but still pliable. 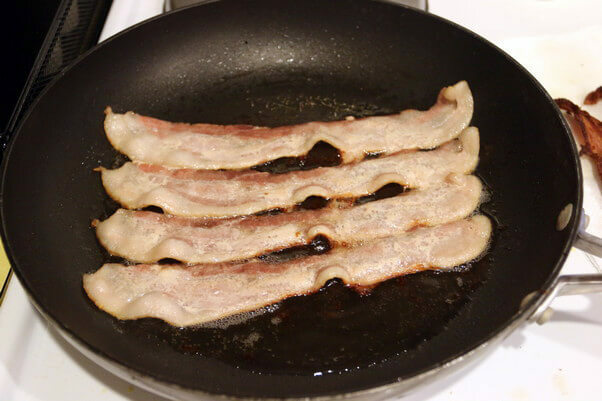 Save bacon grease to add to mixture. 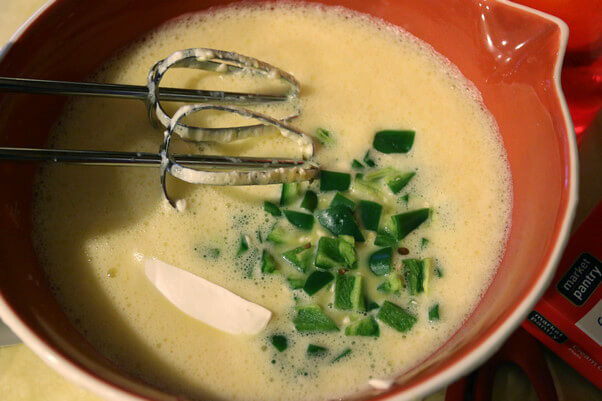 Use a hand mixer, to mix all the other ingredients (except cheddar and 1 jalapeno) together. 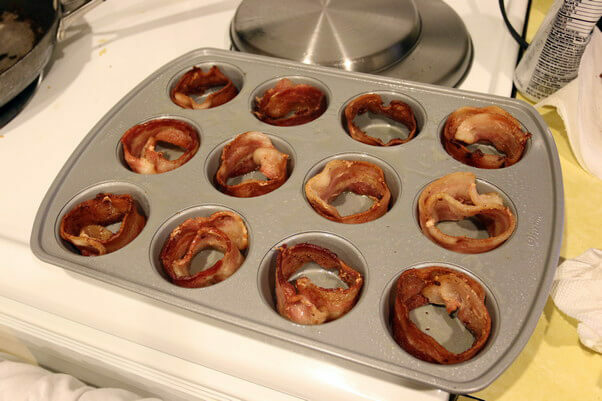 Grease wells of muffin tin, then place par-cooked bacon around the edges. 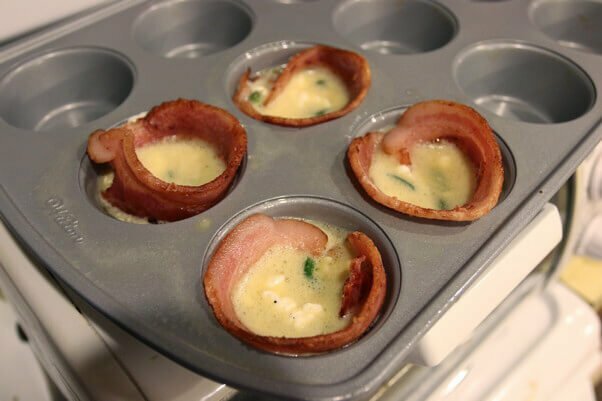 Pour egg mixture into the wells of the muffin tin. Don't overfill. 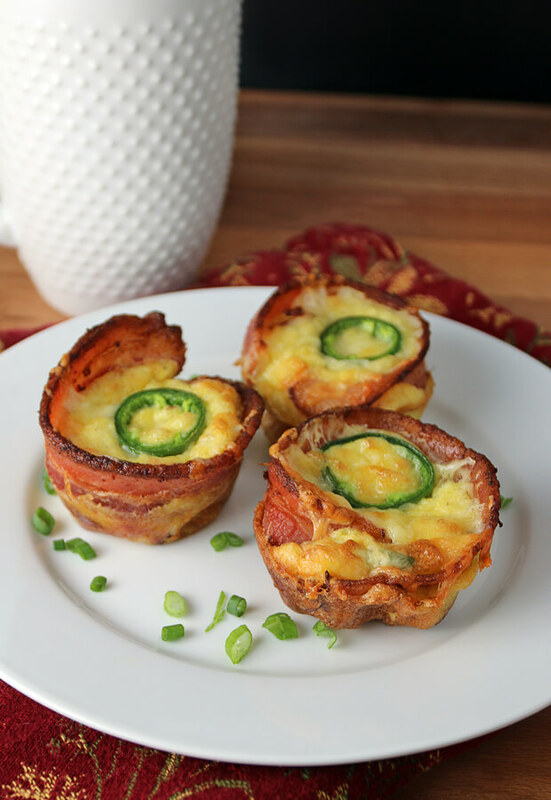 Add cheddar cheese on the top of the muffin, then a jalapeno ring. Cook at 375F for 20-25 minutes. Once cooked, remove from the oven to let cool.